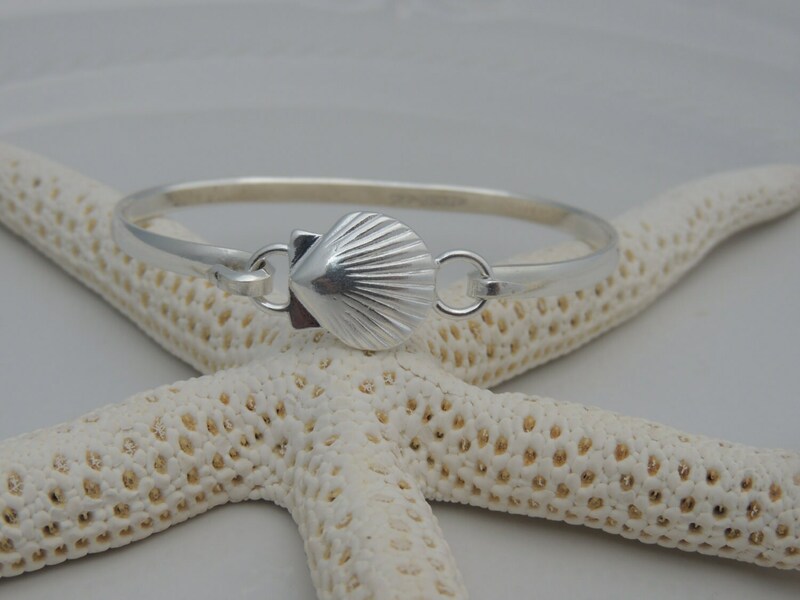 This listing is for one hand made cuff style sterling silver bracelet that is made entirely of .925 sterling silver. 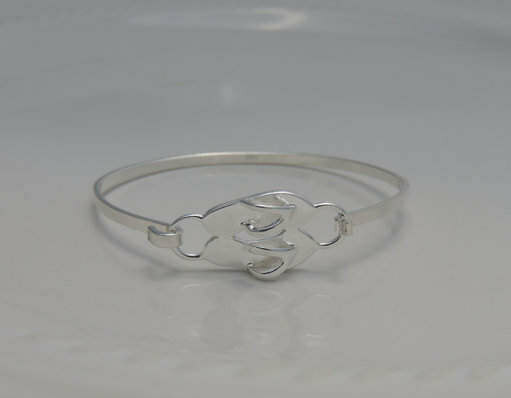 This bracelet includes ONE clasp. 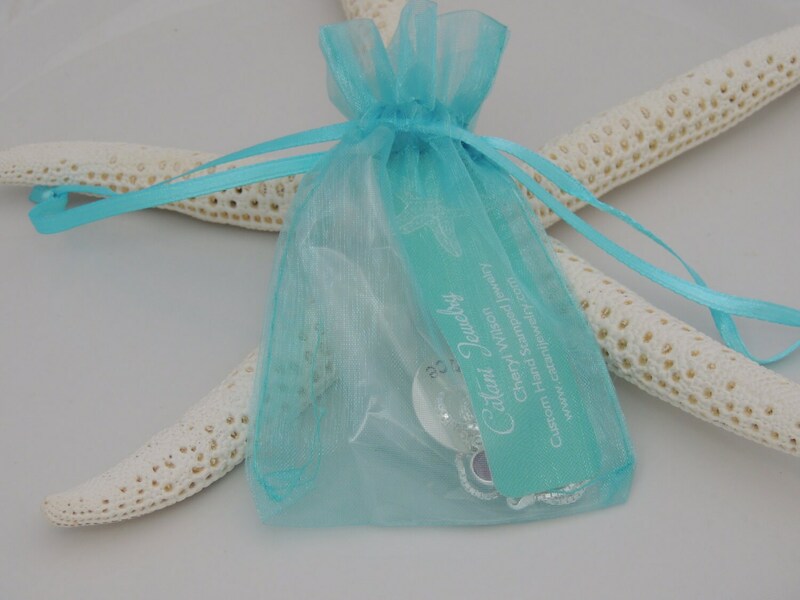 Choose from a sand dollar, sea shell, starfish or flip flop centerpiece. 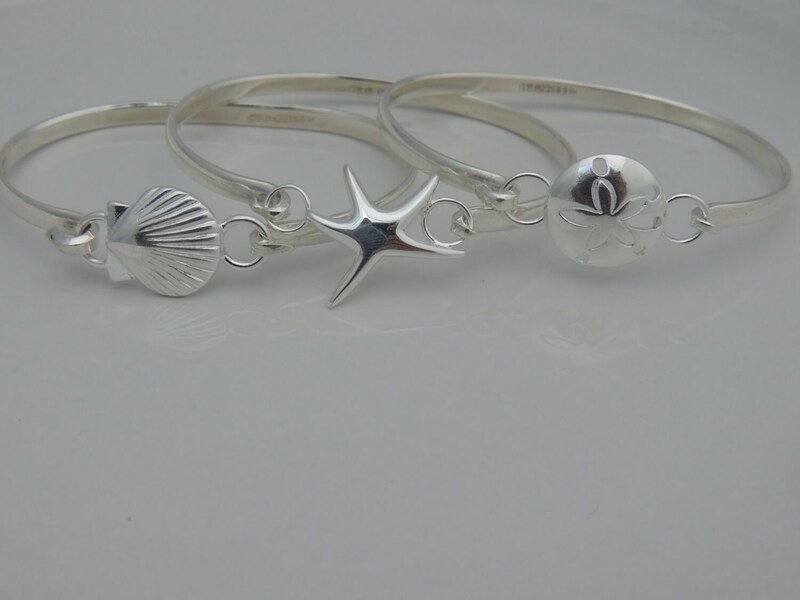 This sterling cuff comes in three sizes (small, medium or large). Please choose your size from the drop down menu at checkout. To ensure a correct fit, please measure your wrist at the point you would like to wear the bracelet and choose from the following sizes. XL - 7.25" - 8"
If you need a larger size cuff, please send me a convo message. Thank you. Mix and match designs by adding additional centerpieces for $18 each by visiting the shop link below. Fantastic seller! Love my bracelet, good quality and fast shipping. Great transaction all the way around! Don’t hesitate to shop here! 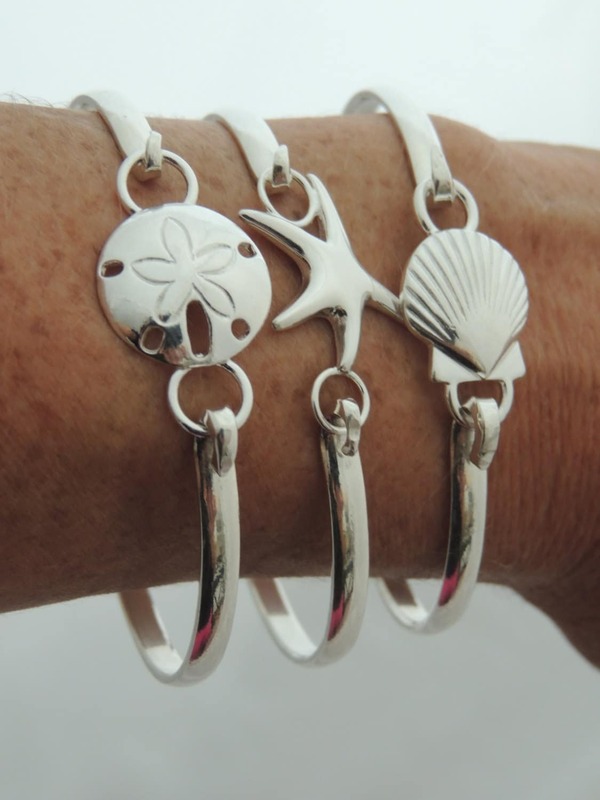 I LOVE this bracelet and it was wonderful working with the shop owner who kindly took the time to locate a specific charm. I was so impressed and pleased with my purchase that I promptly placed another order!